For the second year in a row, the Midwest Theater has been selected to participate in the national Science on Screen® program, which links a film screening with an engaging talk by a science expert. The first film of the 2018-2019 series will be “Feeding a Growing World” on Thurs., Dec. 6, at 7:30 p.m.
University of Nebraska-Lincoln Professor of Agronomy and Horticuture P. Stephen Baenziger will talk about global food production systems, and link his discussion with the evening’s feature film, the classic 1973 science fiction film “Soylent Green” starring Charlton Heston. WHEN: Thurs., Dec. 6 at 7:30 p.m. The event is FREE*, but freewill donations are encouraged. P. Stephen Baenziger is a Professor and Nebraska Wheat Growers Presidential Chair in the Department of Agronomy and Horticulture at the University of Nebraska–Lincoln and a Daugherty Water for Food Global Institute Faculty Fellow. He is the primary small grains breeder at the University of Nebraska and supports the state’s wheat, barley, and triticale industries. Stephen is interested in international agriculture and helping humankind in developing and developed countries. 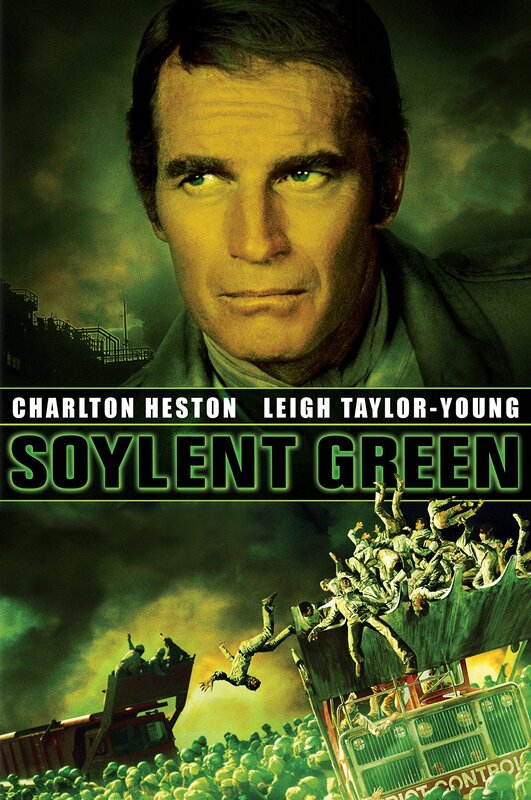 Film synopsis: In a densely overpopulated, starving New York City of the future, NYPD detective Robert Thorn (Charlton Heston) investigates the murder of an executive at rations manufacturer Soylent Corporation. With the help of elderly academic Solomon “Sol” Roth (Edward G. Robinson), Thorn begins to make real progress — until the governor mysteriously pulls the plug. Obsessed with the mystery, Thorn steps out from behind the badge and launches his own investigation into the murder.